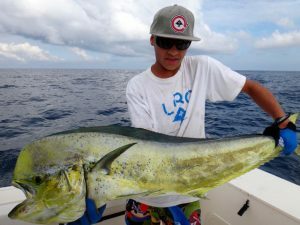 The common English name of dolphin causes much confusion. The fish is called mahi-mahi in the Hawaiian language, and "mahi mahi" is commonly used elsewhere. 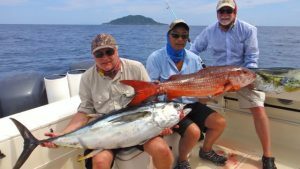 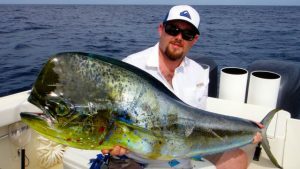 Spinning, baitcasting or fly-casters may especially seek frigatebirds to find big mahi-mahis, and then use a bait-and-switch technique. 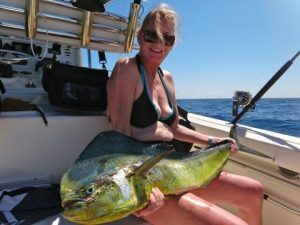 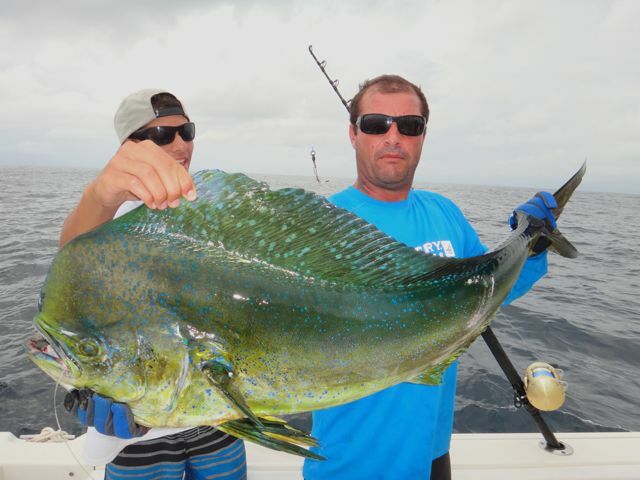 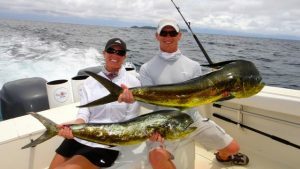 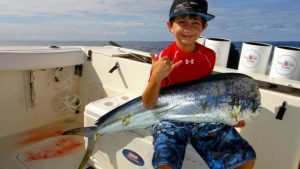 Once on a line, mahi-mahi are fast, flashy and acrobatic, with beautiful blue, yellow, green and even red dots of color.